A fire early this morning heavily damaged the historic Oliver Traphagen House, a Duluth landmark. 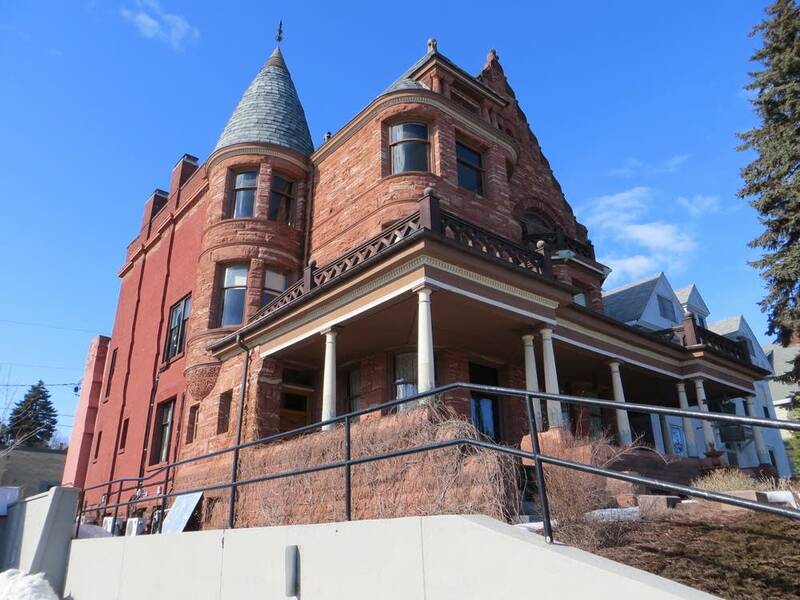 Designed by one of the area's earliest significant architects, the three-story Victorian mansion is listed on the National Register of Historic Places. Traphagen also designed Duluth Central High School, the Old City Hall downtown and a number of other well-known Duluth landmarks. The Duluth Fire Department received a call that the building was on fire about 1 a.m. Monday. When firefighters arrived, flames were already shooting out a first floor window and had extended into the floor above. More than two dozen fire fighters fought the blaze, which caused more than $150,000 in damages. The cause is under investigation. The red stone building about a mile east of downtown Duluth is home to HTK Marketing Communications, a marketing firm. It is on sale and on the market for about $750,000, according to commercial real estate broker Greg Follmer, with Messina and Associates. "It's one of the most photographed buildings in Duluth. You routinely see people out front taking a picture of that building," Follmer said. "It's really just a tragic event. It's sad to see." Follmer said the building likely will require extensive repairs. But he doesn't think the structure was heavily damage and expects that it will be used again. Mike Seyfer, CEO of HTK Marketing Communications, said he and his staff were planning a move to the Canal Park district in October. Seyfer said much of firm's electronic work was stored off site and not affected by the fire. "In fact, I've already secured office space," he said. "Our technology provider is already getting the connectivity there. My expectation is that by Wednesday, we'll be fully up and running." Seyfer said the marketing company's staff is working from home. He hopes some of the business can be salvaged from the building.